Develop this small island into a thriving economy. Watch out for the volcano in the northwest. You will have to evacuate all residents before it erupts. 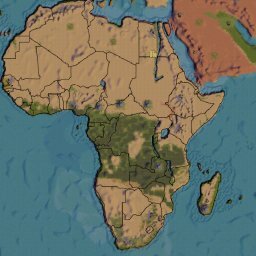 Conquer the wilds of Africa and part of the Middle East in the years 1860-1930. Cities and industries are more spread out so this map is not for beginners. 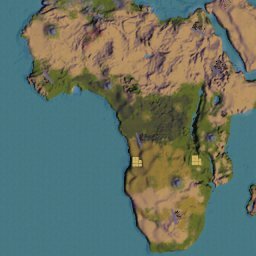 This is a large map so should be played on computers with more resources. 1860-1930. Tame wild Africa. 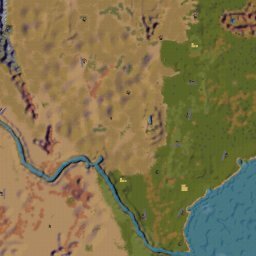 This is a small map and is for beginners. This map should play well for lower powered computers. Develop the second largest state in the U.S. to economic prosperity. Along the way you will also have to connect to neighboring states and move passengers through Mexico. 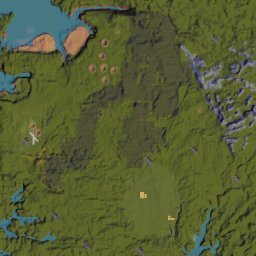 This map is for intermediate to advanced players. There are a number of goals that provide a good challenge in trying to meet them all.